If you are in our area, come join with others who are reading the book “REVELATION: What the Last Book of the Bible Really Means” on Sunday Morning at Redeemer by the Sea during the Enrichment Time from 9:45am to 10:30am. Bring your book, (you can purchase the Kindle version of the book by clicking on the book image above, or for a limited time, you can pickup a hardcopy of the book (for a reduced rate) at Redeemer) or just bring your Bible! 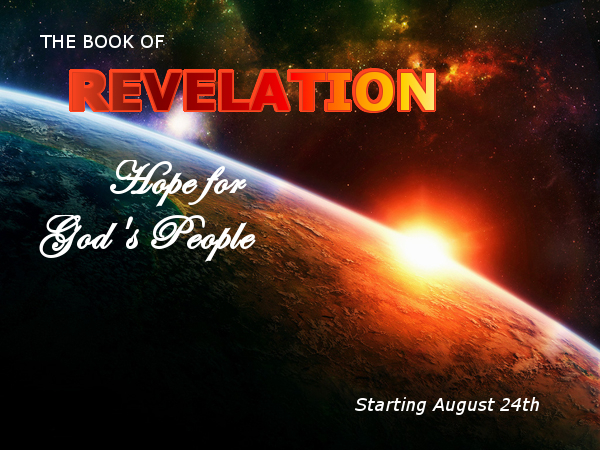 This group will look at Revelation chapter 1 on the first Sunday, August 24th, then 3 chapters per week throughout the duration of the REVELATION Sermon Series. The study will meet in the lower level of the church. May God fill you with HOPE through the reading of His Word! P.S. For those of you, like myself, who are not able to attend the study on Sunday morning – please use the comments section on this blog article (below) to post your thoughts/questions about the book of Revelation as you read along with us!